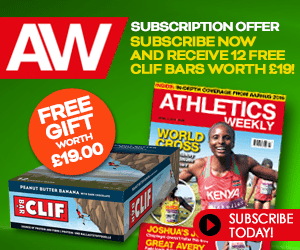 Josh Griffiths was a journalist’s delight after his breakthrough performance at last year’s Virgin Money London Marathon as he told tale after tale to stack up the popular storyline of a club runner overcoming some of the best distance runners in the world, writes Ryan Goad. 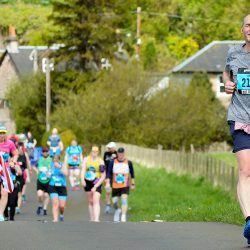 From having to leave his pre-race meal of salmon out overnight in his hotel room because he did not have access to a fridge through to having to follow a paramedic to the start line because he had no idea where he was going, Griffiths did not need a scriptwriter to make his story sound any more amazing. 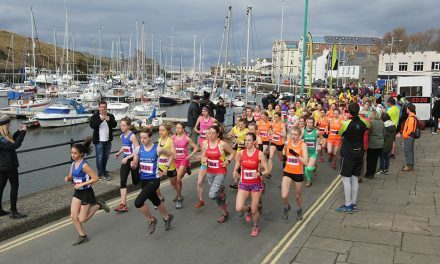 But one element of Griffiths’ tale that was widely overlooked was that though he may not have been familiar with the first 23.2 miles, the Swansea Harrier certainly knew the final three miles of the route. 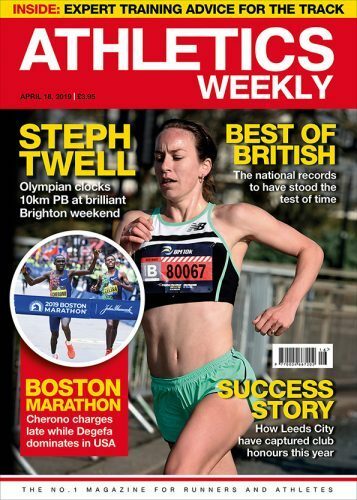 Just six years earlier, the Great Britain international travelled to London with the Welsh team for his one and only appearance at the Virgin Money Giving London Marathon, where he finished 20th in his first taste of big city road racing. Then, as now, Welsh running was in rude health and just making the Principality’s Mini Marathon team was a challenge in itself. 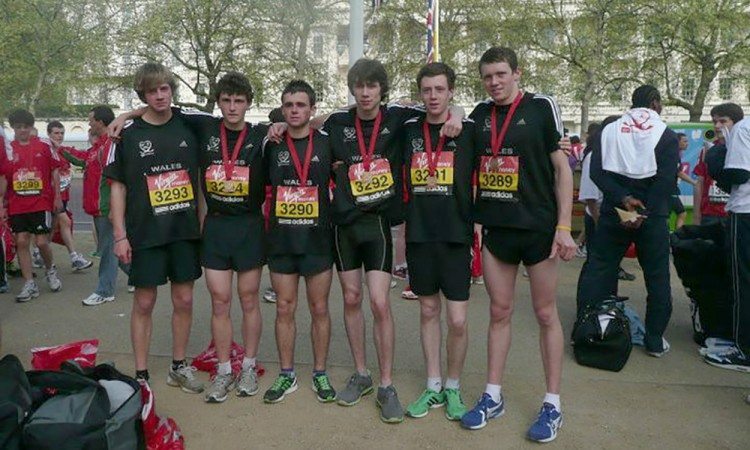 “The Welsh Schools Cross-Country Championships were the qualifiers,” Griffiths explained. 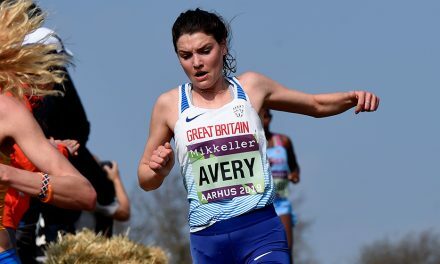 “I really wanted to qualify in 2010 (as a bottom year under-17 athlete) but I didn’t run well enough to make the team. Griffiths went into the race not knowing what to expect. He had finished third at the Welsh Schools Cross Country Championships but 82nd in the Inter-Counties Cross-Country Championships which, like the Mini Marathon, brings together the best athletes from around the UK and Northern Ireland. It was also his first major experience of racing in front of big crowds. 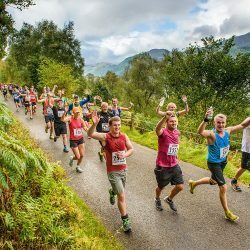 Griffiths (pictured below, third from left) finished in 20th place overall, 51 seconds behind the winner Robbie Farnham-Rose. 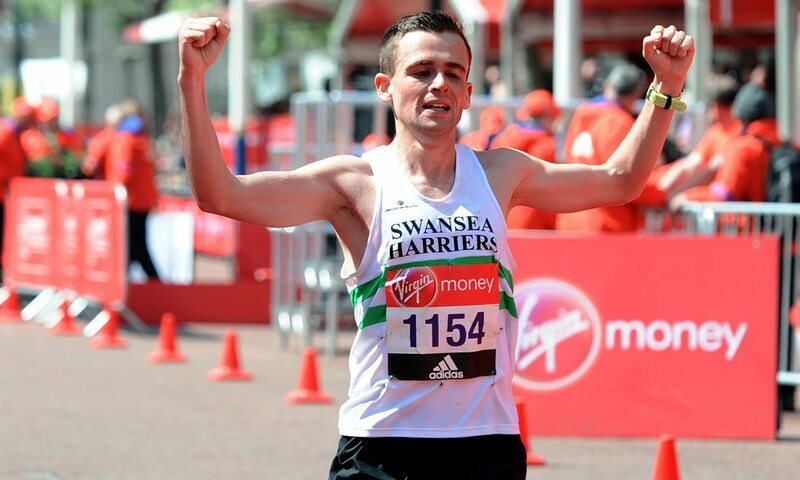 His Welsh squad finished second in the team standings and included his Swansea Harriers team-mate Liam Lloyd who was 11th and Elliot Slade who finished 13th. 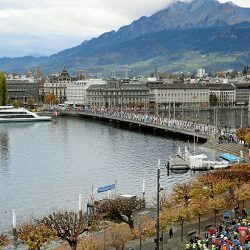 The event also proved to be a bit of a look into the future for Griffiths, who stayed on to watch the full marathon and immediately found himself in thrall to the 26.2-mile distance. 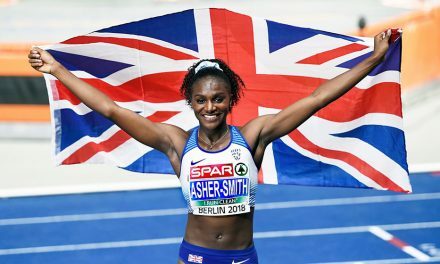 In the end, Griffiths ended up doing his first London Marathon a bit sooner than expected as he got a championship entry for the 2017 race and the rest, as they say, is history. 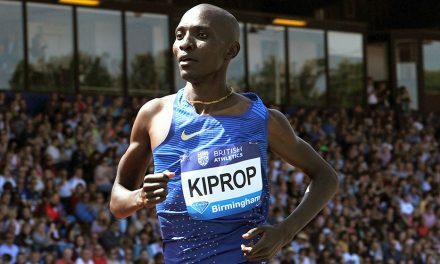 After storming through the field to finish in a time of 2:14:49, he qualified to represent Great Britain in the World Championships marathon back in London last August. The whirlwind has continued into 2018 and next month Griffiths will be on the start line of the Commonwealth Games marathon on the Gold Coast, Australia, once again representing Wales. 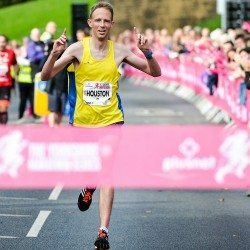 “The time between my Mini Marathon in 2011 and then my first Virgin Money London Marathon in 2017 has gone pretty fast and, in some ways, last year’s London Marathon opened my eyes to what I could become, just as the Mini Marathon had done in 2011.